I’m not great at languages, how do I know Happy Hour Spanish will work for me? See, you don’t learn Spanish by doing worksheets or leveling up on an app. Rather, to speak Spanish you learn by working in real Spanish, at natural speeds and content that lets you learn in context – not just random vocabulary and phrases. This is the key to immersion learning that you can only find here with Happy Hour Spanish’s Immersion Course. I’m planning on traveling to a Spanish speaking country soon. Will this only work if I go to Spain? Spanish is like English, it’s spoken in different countries, but all Spanish speakers can understand and communicate easily with each other. There are slang and vocabulary differences of course, but you will be able to communicate with Spanish speakers no matter which country you travel. To be direct: Happy Hour Spanish is the only course that focuses on native speakers speaking Spanish at natural speeds and using real content, right from the beginning. 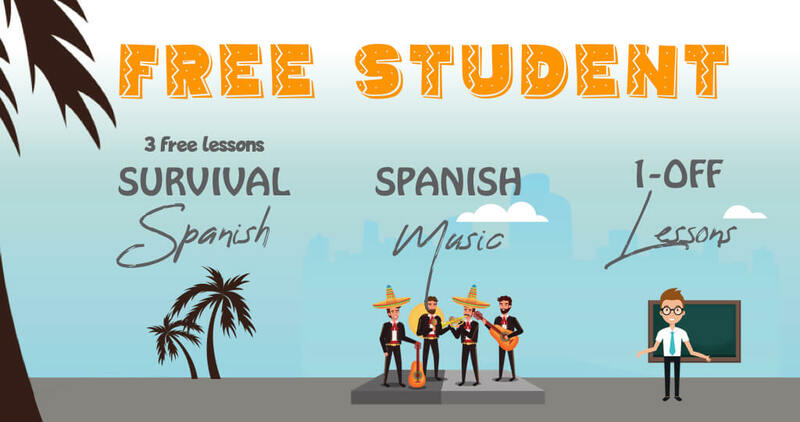 After working with over 3000 students from around the world we’ve found that getting you learning in Spanish from the beginning and in context with real content — the same way you would if you were in a Spain or Mexico — is the fastest way to get comfortable and conversationally fluent in Spanish. It’s easier to remember and solidify your learning when there is meaning behind it – not just random phrases you’re trying to learn. That’s why you travel with us through Spain (in Spanish) and we have conversations about real subjects. Worksheets are good, but they don’t prepare you for the real speeds you’re going to encounter from native speakers on day one in any Spanish-speaking country. And the current language learning apps and expensive software are little more than digital flash cards that don’t help you when it really counts — understanding native speakers talk at their natural speed and learning Spanish with good content and in context, like you will with us while we wander through the streets of Granada or talk with Spanish friends over a meal. What is conversationally fluency and can I really achieve it in just a few months? Absolutely. Fluency can take years, but conversational fluency takes months. Conversational fluency means you can have conversations in Spanish. It means you can express your wants or needs or ideas and connect with someone in another language. It doesn’t mean you will speak perfectly (you won’t), and it doesn’t mean you won’t have an accent (you will), but you will also open the door meeting new friends, building your confidence navigating a new country and learning another culture. From there it’s just continued practice and fine-tuning to reach higher fluency goals. Got more questions? Contact us and we’ll answer them!